What is Hyaluronic Acid Used For & What are Its Side Effects? Also known as hyaluronan, hyaluronic acid is a naturally produced substance found in the joints, skin, tissues, and eyes. 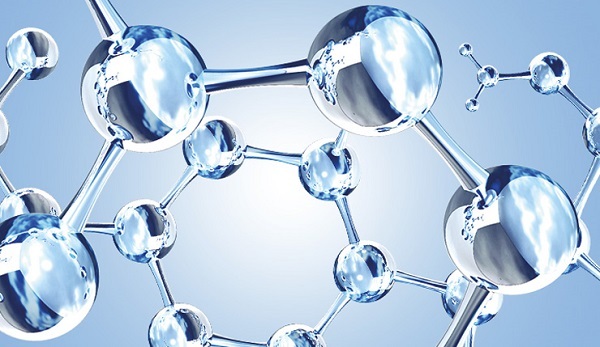 In the cosmetic and medicinal world, hyaluronic acid is used as a powerful hydrating and lubricating agent. This is due to its innate ability to bind to 1,000 times its molecular weight in water, helping cells to retain optimal levels of moisture. As the body ages, its natural levels of hyaluronic acid are depleted. With this, the cells begin to lose moisture, resulting in reduced volume and hydration in the skin and a loss of lubrication in the joints. When added back into the body in a therapeutic manner, hyaluronan hydrates the cells, offering renewed youth to its users. It is important to note that certain individuals should not use hyaluronan injections. This includes those with allergies to hyaluronan, as well as those with an active infection around the injection site. Pregnant and breastfeeding women should exercise caution when considering hyaluronic acid fillers, as the effects of its use are not fully known on these populations. Due to its hydrating and lubricating properties, hyaluronic acid may be used to treat a variety of medical and cosmetic issues. Hyaluronic acid has also been found to treat osteoarthritis, a disease caused by the inflammation, breakdown, and eventual loss of cartilage in the joints. When injected directly into the knee, this substance works to lubricate the joints by improving the quality of the synovial fluid. With this, joint pain and stiffness are reduced, increasing overall comfort and function. To reduce the fine lines, wrinkles, and volume loss associated with the ageing process, hyaluronic acid may be injected into the skin. By binding to water molecules at the cellular level, these injections work to plump up, hydrate, and add volume back into the dermis. Hyaluronan may also be used in mesotherapy treatments. These rejuvenating procedures involve the injection of hyaluronic acid into the subcutaneous fat of the face, neck, decolletage, and hands, and are intended to repair, protect, and hydrate the skin. For cosmetic purposes, hyaluronan may also be used to reshape, restructure, or add volume to the lips. Additionally, hyaluronic acid fillers can be used to lift the brows, contour the jawline, and augment the chin. The most common side effects of hyaluronic acid use are injection-related. These issues are mild, and should diminish within a week of the procedure. However, adverse effects have also been reported with hyaluronan use. If these occur, medical attention should be sought immediately. And redness, tenderness, or itching.